Two thousand years ago, all civilisation on the planet Teymah was wiped out in an AELE – an Anomalous Extinction Level Event. Now, the galactic entrepreneur Lyam Yce hopes, at last, to learn the reason why the ancient Teymahrians went extinct – by funding a huge archaeological dig. 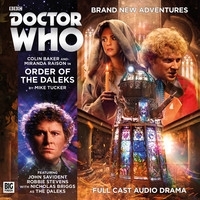 On the Dalek-occupied world of Mojox, a group of rebels is engaged in a futile fightback against the invaders – but at last they’ve found an ally, in the form of the mysterious Doctor. Elsewhere, however, the Daleks’ Chief Virologist is seeking to perfect a biological weapon to wipe out the Mojoxalli, once and for all. And the coming menace is closer than he thinks. Now, here’s an oddity. 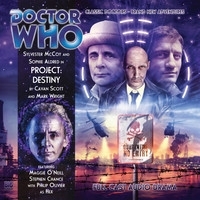 Big Finish have decided to experiment in the Main Range with the same format of stories that they have previously employed with both the Fourth and the Eighth Doctors – hour-long, two-episode stories. This means condensed, faster paced storytelling, sharp set-ups, less room to lay out and get overly indulgent, perhaps. Sometimes, it can be a good thing. Your mileage may vary. 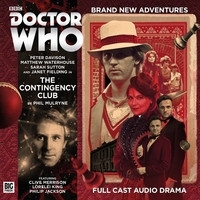 Since the Main Range releases are double-disc, four episode releases however, that means we get two stories for the price of one. 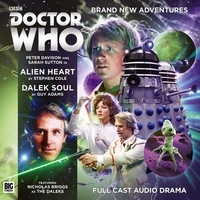 Hence Alien Heart and Dalek Soul on the same cover picture over there. And hence the thematic echo of the story titles. 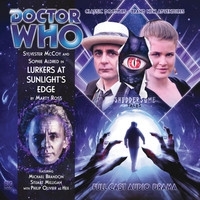 We’ve had three-episode stories in the Main Range before, and single-episode stories too – but how well do the Legacy Doctors fit into this particular mode of storytelling? And – the big question, of course – is it any good? London, 1864 – where any gentleman befitting the title ‘gentleman’ belongs to a gentlemen’s club: The Reform, The Athenaeum, The Carlton, The Garrick… and, of course, The Contingency. Newly established in St James’, The Contingency has quickly become the most exclusive enclave in town. A refuge for men of politics, men of science, men of letters. A place to escape. A place to think. A place to be free. 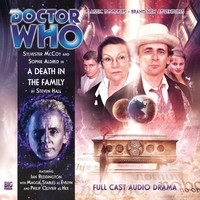 Oh – and Adric. In the Main Range. GET IN. Astronomical navigation is a tricky business. 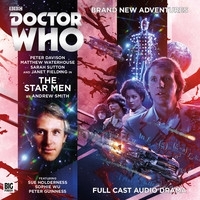 To help Adric with his studies, the Doctor sets course for Gallius Ultima – a planet on the edge of the Milky Way, housing one of the most impressive observatories ever constructed. Led by the ruthless Emerson Whytecrag, an expedition has come to the citadel to exploit the horrors in its ebon-dark interior. Horrors just like those published in the pages of the pulp magazine Shuddersome Tales, where a hero’s only reward is madness, death… or worse. 1999: Leaving her infant son behind, a young mother named Cassandra Schofield departs Bolton, seeking a better life amid the lights of London. 2004: Despite the best efforts of the time-travelling Doctor, ‘Cassie’ Schofield dies on Dartmoor, a vampirised victim of the sinister organisation called The Forge. 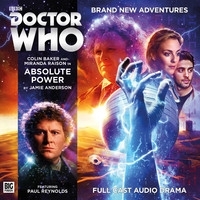 2021: All grown up, and a nurse at St Gart’s Hospital, Thomas Hector Schofield – known as ‘Hex’ – meets, and becomes a companion to, that time-travelling Doctor… but remains unaware that his alien friend knew his mother, and watched her die. 1854: In the Crimean War, Hex takes a bullet, and is seriously injured. The Doctor promises to return him to St Gart’s.